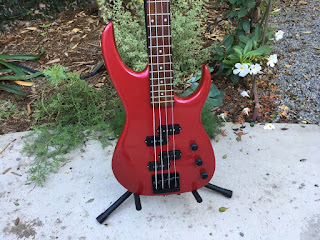 I have always had a place in my heart for oddball imported guitars and basses, and the subject of today’s blog post is a fine example. 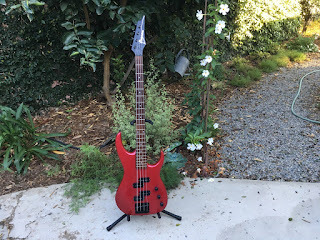 This is an Ibanez EX 405 bass that was made in Japan in 1989, and it is a pretty cool instrument (in my opinion, anyway). Specs are similar to what you would find in many Fender bass copies that wer made overseas in the late 1980s. The basswood body is carved into a pseudo-precision bass shape with really pointy horns, and covered in a very pretty pearl red finish. 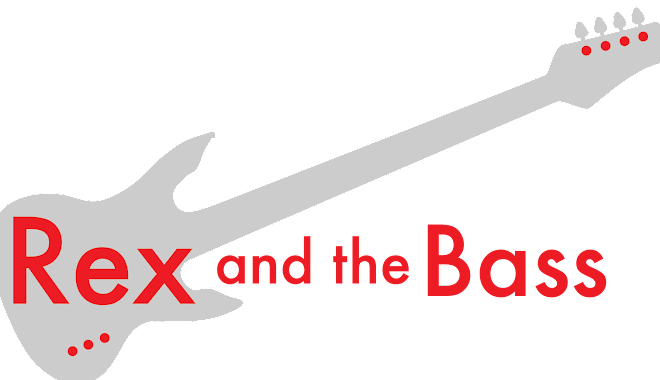 The maple neck has a slim jazz bass profile (1.5-inch nut width) and a rosewood fretboard that has 22 medium-sized frets set into it. And, of course, it has a pointy headstock. How could you go wrong? The equipment list is fairly typical until you get to the electronics package, which is unique as the folks at Ibanez chose to load it up with a pair of passive split-coil P-bass pickups. 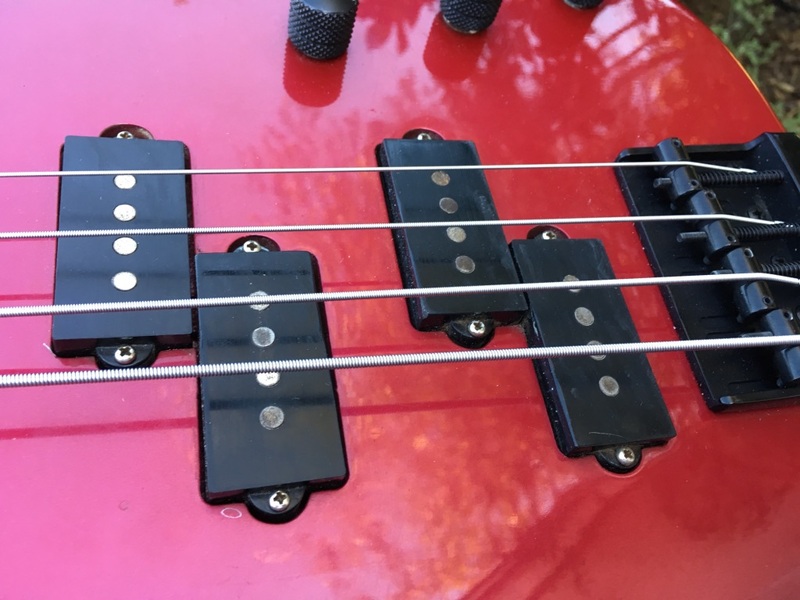 These are wired through two volume pots and a tone pot, which is fairly intuitive if you have ever played a jazz bass before. This bass is in great shape, but it is not entirely original. 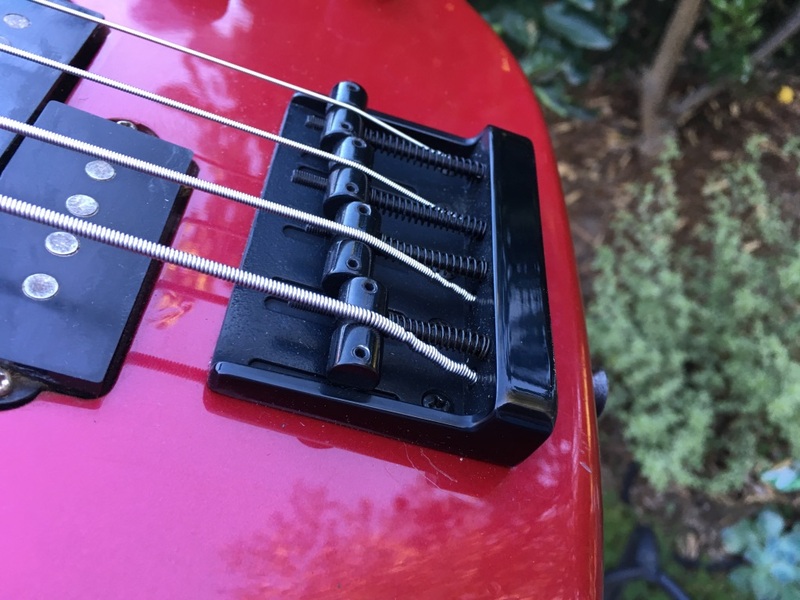 A previous owner upgraded the wimpy chrome-plated tuners and bridge, and changed over to black hardware at the same time. This resulted in a beefier bridge and tuners that work well, as well as a neck plate that is kind amateurishly painted in a nubbly black-ish finish. Since this plate is on the back of the instrument, it does not bother me very much. 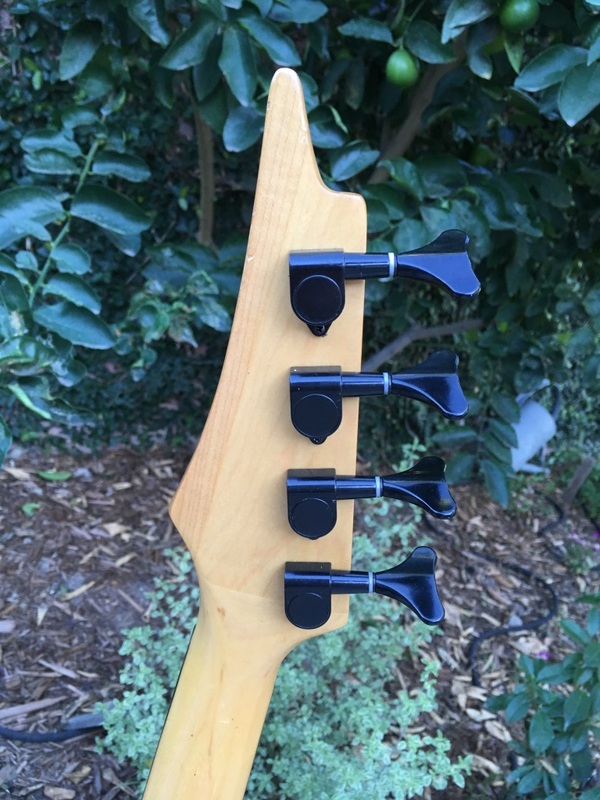 The finish is clean, there are not many dings despite the softness of basswood, which give it a total weight of only 7 pounds, 8 ounces. Despite its age there is little fret wear, and it plays very well. 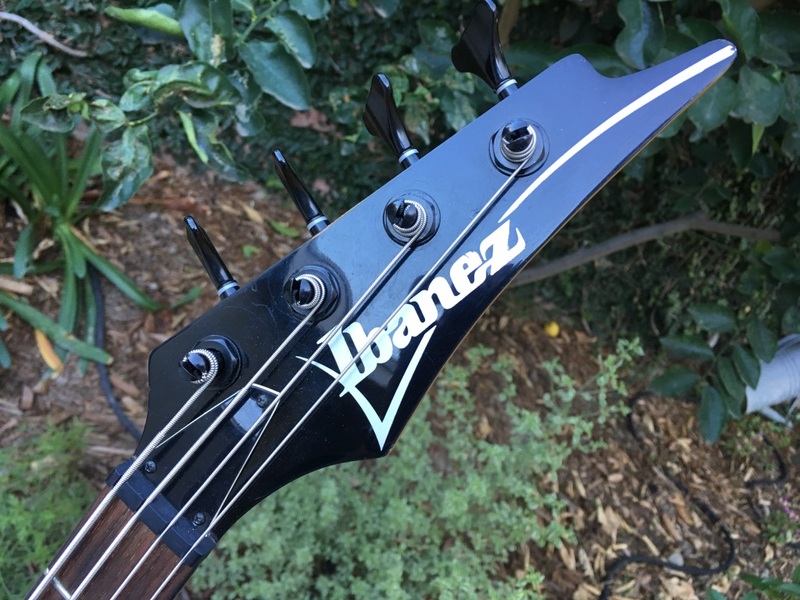 As far as tone goes, it ends up being pretty much like a louder precision bass, so there are no surprises here. I dig it because it looks different, but it will probably not be sticking around too long as aside from the looks it does not really stand out sonically. Drop me a line if you are interested!